Polish writer; born at Praszka, government of Kalisz, 1814; died at Warsaw in 1874. His activity was confined to his birth-place and later to Chenstokhow until 1861, when he settled in Warsaw. In that same year he published his work on the Great Sanhedrin of 1806 under the title "Wielki Sanhedryn Paryski w Roku 1806." 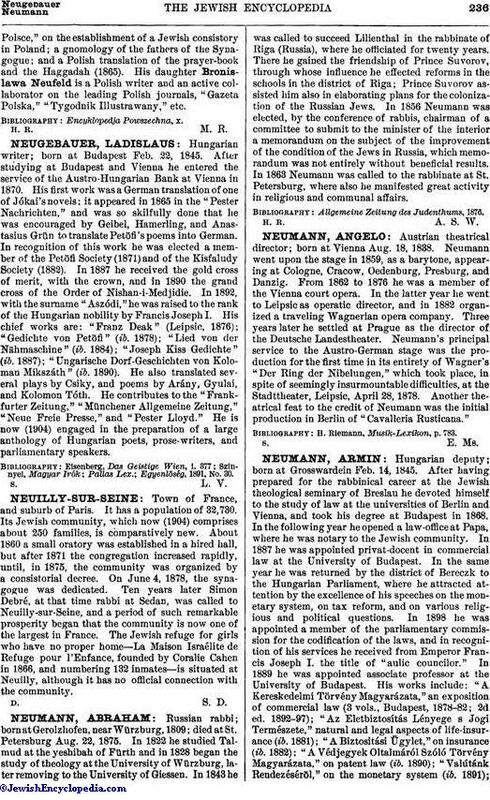 On July 5, 1861, he commenced the publication in Polish of a weekly newspaper for Jews entitled "Jutrzenka," which appeared until 1863. 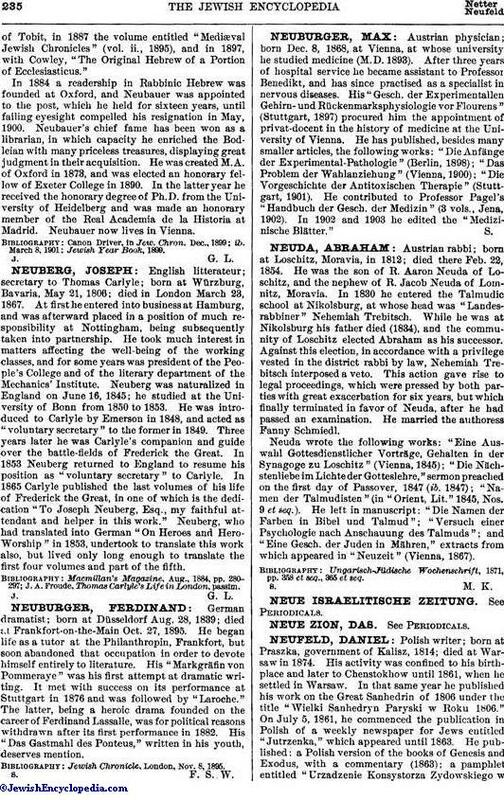 He published: a Polish version of the books of Genesis and Exodus, with a commentary (1863); a pamphlet entitled "Urzadzenie Konsystorza Zydowskiego wPolsce," on the establishment of a Jewish consistory in Poland; a gnomology of the fathers of the Synagogue; and a Polish translation of the prayer-book and the Haggadah (1865). His daughter Bronislawa Neufeld is a Polish writer and an active collaborator on the leading Polish journals, "Gazeta Polska," "Tygodnik Illustrawany," etc.